Plants are vital to human wellbeing, providing a wide array of materials for nutrition, health, clothing, structural uses, energy and much else. Plants form an extremely important element of the economy for many low- and middle-income countries (LMICs) and their value can be further enhanced by the identification and commercial development of specific compounds they contain. From 1988 to 2016, the Plant Chemistry WG (which superseded IOCD's earlier Agrochemistry Programme) provided opportunities for LMIC natural products chemists to network, update their knowledge about isolation and structure elucidation and learn techniques for preliminary biological screening which they could apply in their own laboratories. It organized workshops for training in analytical or bioassay techniques (three in Africa and Latin America 1990-1994) and international symposia on the chemical, biological and pharmacological properties of medicinal plants (ten in Africa, Asia and Latin America 1996-2011). With each symposium, the WG also convened a workshop on chemical screening and bioactivity-guided fractionation. Some IOCD funds were provided to assist with travel grants for younger scientists from LMICs to attend each symposium and associated workshop. The WG also awarded small research grants to a number of younger scientists from LMICs, selected from among those who were awarded travel grants. IOCD is deeply grateful for the leadership provided to this WG by its chair, Kurt Hostettmann, and the many scientists who supported the work, including Andrew Green, Mahabir Gupta and Jacob Midiwo. 2015 IOCD International Symposium on Plant Chemistry: The Plant Kingdom: Source of drugs, neutraceuticals and cosmetics. The IOCD Working Group on Plant Chemistry organized this Symposium in Marrakesh on 7-10 April 2015, in partnership with the Moroccan natural products chemist Prof. Zoubida Charrouf. It was attended by about 200 participants. 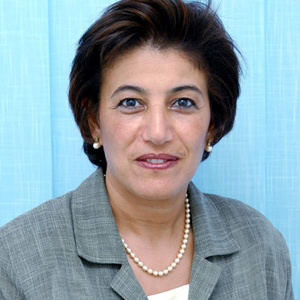 Prof. Charrouf, who is based in the Science Faculty of Mohamed V. University at Agdal, Rabat, is well known for her work on the products of the argan tree and particularly its valuable oil. The programme included an opening lecture by Her Royal Highness Princess Chulabhorn Mahidol of Thailand on ‘Natural Product Drug Research: Bioactive Compounds from Thai Bioresource’. The opening ceremony was attended by a delegated Minister, by the Governor (Wali) of the region Marrakech-Tensift-Al Haouz, by the President of University Mohammed V at Agdal, Rabat and by the Ambassador of the Kingdom of Thailand in Morrocco. Her Royal Highness Princess Chulabhorn of Thailand presenting the opening lecture of the IOCD International Conference on Functional Molecules in Nature. 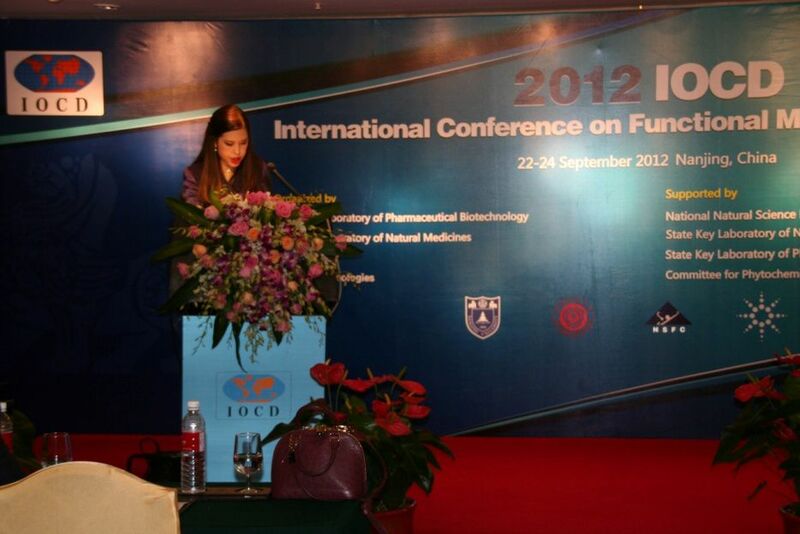 The 2012 IOCD International Conference on Functional Molecules in Nature, held in Nanjing, China on 22-24 September 2012, was attended by 115 participants from 11 countries. In addition to the opening lectures by Her Royal Highness Princess Chulabhorn of Thailand (President of the Chulabhorn Research Institute and a renowned natural products chemist) and Professor Kurt Hostettmann (Chair of the IOCD Working Group on Plant Chemistry), there were 16 plenary lectures by eminent Chinese and international scientists, 39 short lectures and 16 poster presentations. The China Pharmaceutical University, Nanjing was co-organizer of the symposium and the State Key Laboratory of Pharmaceutical Biotechnology and the State Key Laboratory of Natural Medicines were also associated with the organization. The main sponsor was the National Natural Science Foundation of China. The aim of the 2012 IOCD International Conference on Functional Molecules in Nature was to discuss trends, present latest results, and exchange ideas relevant to the chemistry and biology (particularly pharmacy) of natural products, including phytochemicals and microbial secondary metabolites. Session themes included: Bioanalytical and Medicinal Chemistry; Natural Products; Traditional Medicines; Functional Molecules; Natural Bioactives; and Chemical Biology and Ecology. 2011 African Plants as sources of drugs, agrochemicals, cosmetics and food supplements. University of the Western Cape, South Africa, 12-15 January 2011. 2009 Biology, Chemistry, Pharmacology and Industrial Applications of Plants of the Americas. Viña del Mar, Chile, November 8-11, 2009. 2007 Biology, Chemistry, Pharmacology and Clinical Studies of Asian Plants. Surabaya, Indonesia, 9-11 April 2007. 2004 Chemistry, Biological and Pharmacological Properties of Medicinal Plants in the Americas. Pedro, Brazil. Co-sponsored by IOCD and the Programa Iberoameicano para la Ciencia y Tecnología para el Desarrollo (CYTED). 2002 Chemistry and Pharmacology of Plants Used in African Traditional Medicine. Bamako, Mali, 2002. 2000 Chemistry and Pharmacology of Asian Plants and Validation of Phytopharmaceuticals. Bangkok, Thailand, 2000. Held as a Satellite Meeting to the Princess Chulabhorn Science Congress. 1999 Chemistry, Biological and Pharmacological Properties of African Medicinal Plants. Addis Ababa, Ethiopia, 1999. 1997 Chemistry, Biological and Pharmacological Properties of Medicinal Plants from the Americas. Panama, 1997. Co-sponsored by IOCD and the Programa Iberoameicano para la Ciencia y Tecnología para el Desarrollo (CYTED). 1996 Chemistry, Biological, and Pharmacological Properties African Medicinal Plants. Victoria Falls, Zimbabwe, February 1996. A book was published following the conference: Chemistry, Biological and Pharmacological Properties of African Medicinal Plants (K. Hostettmann, F. Chinyanganya, M. Maillard and J.-L. Wolfender, Eds., 1996, University of Zimbabwe Publications, Harare, Zimbabwe.) It is available in Africa at a price of US$15.00 and in the USA at a price of US$50.00 (plus US$4.00 shipping charges). Checks should be made out to IOCD and sent to: Dr. Alain Krief, Department of Chemistry, University of Namur, 61, rue de Bruxelles, B-5000 NAMUR, Belgium. Site design & maintenance by Webpraxis Consulting Ltd.